But don’t let the price fool you. As we previously mentioned, we like small gadgets that deliver a power-packed performance, and the Veepeak Mini WiFi certainly delivers. If you’re considering buying an OBDII scanner, then there are a couple reasons we recommend the Veepeak Mini. 1. Compatibility: You need to make sure that an OBD2 scanner is compatible with your vehicle. The OBD2 protocol utilizes five (5) known protocols, with the latest being CAN (Controller Area Network) or CAN-BUS. This protocol is generally used by vehicles manufactured from 2008 onwards, but it isn’t uncommon to find newer vehicles that use a combination of two protocols. This is the reason why it’s imperative to choose an OBD2 scanner that is compatible with all known OBD2 protocols. 2. Price. Let’s face it. One of your primary reasons for buying your own OBD2 scanner is to save money on diagnostics and repair, right? So it’s better to choose something that you can actually afford. Some OBDII scan tools can cost thousands of dollars, but most of us don’t need a mechanic-grade tool… For most of us, twenty bucks can purchase a scanner that does everything we need. Fortunately, the Veepeak Mini WiFi OBD2 code reader for Android and iOS conforms to both compatibility and price. Now, it used to be that when you purchased a code reader (for thousands $$$), you had a bunch of cards for each car model (Ford, Chevy, etc) and you had to pack around a suitcase worth of equipment! Scan tools have come a long way! Corded OBD2 scanners are usually plugged into your car/truck’s OBD2 port, and then display the DTC and engine data on the screen of the OBDII tool. These scanners work well if you don’t need to drive your car to get the Check Engine Light to show up, or don’t want to mess with syncing your phone to a wireless OBD2 scanner. Enough rambling about wired and wireless! What you need to know about the Veepeak Mini Scanner is that it can hook up to your iPhone and/or Android phone! Now this is one of the most impressive features that we found. Usually when we test wireless OBD2 scanners, we can’t use Vince’s iPhone 5 because it’s not supported. But with the Veepeak, you can use your Samsung Galaxy, Droid Razr, iPhone, iPad, etc, to read and clear diagnostic trouble codes! And since there are no wires to think about, you are free to roam the garage or drive the car (careful doing this!) as you monitor your car. We’ve come a long way since the scanners of yesteryear, and we love it. You can see all that info (and more depending on your vehicle model) using your smartphone or tablet. Pretty cool, right? However, you need a third party app to get things rocking’, and the Veepeak seems to work fine with popular apps such as Torque Pro and Carista, although you’ll need to buy the paid version of each app to get the full features. Nevertheless, The Veepeak Mini WiFi works flawlessly no matter what app you choose. Compatible will all OBD2 vehicles sold in the United States, including newer cars that use CAN or CAN-BUS protocol. Will also work on light trucks, SUVs and minivans, whether domestic, European or Asian import vehicles. Remarkably easy and simple to use. Works via WiFi, and is compatible with your Android, Windows or Apple iOS device. Your smartphone or tablet can also be used as a vehicle scanner using the Veepeak Mini WiFi. Provides sensor data in real-time, so you can monitor critical factors such as engine RPM, coolant temperature, fuel system status, intake manifold pressure, timing advance, absolute throttle position and much more. The product comes with a 30-day money back guarantee, and a 12-month replacement warranty so there is no risk. 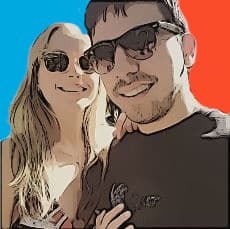 Probably our favorite “feature” of the Veepeak was the price. For $20, you can get a tool that can save you hundreds! I mean, it’s cheaper than a case of beer! (well, I guess that depends if it’s Bush Lite or not 😉 ). The ability to read and clear DTC’s from the convenience of a smartphone is pretty awesome. It’s perfect for the curbside mechanic, or the DIY’er that wants to make sure his/her car is running it top shape. When he connected Vince’s iPhone 5s using the WiFi, it disconnected from the internet! This was mildly frustrating, but not that big of a deal. Just a heads up in case you wanted to browse Facebook or look at cat pictures (what!?) while fixing your car. Also, we heard of a guy who’s device shorted out and drained his battery. So if you plan you leave it plugged into your car 24/7, make sure to purchase an adapter with an off/on switch. Also, keep in mind, this is a basic OBD2 reader… So you probably won’t get features like ABS/SRS, live data, and you might have to buy a $5-10 dollar app to unlock all the features. 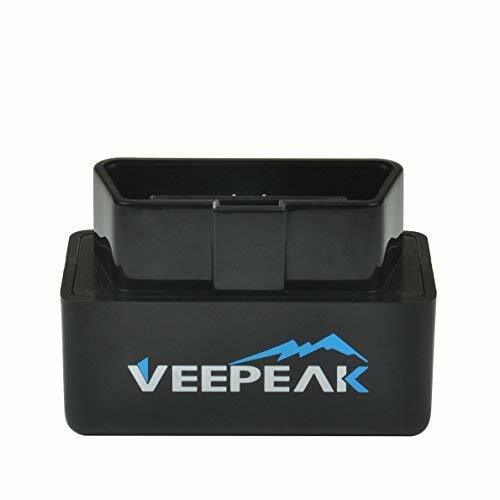 The Veepeak Mini WiFi OBD2 scanner is compatible with all OBD2 vehicles, and we certainly love the price. You can read/clear DTCs from your iPhone or Android device. It’s a great addition to the toolbox for the weekend warrior DIY’er, or anyone who wants to know how their vehicle is running. If you want a compact, wireless scanner that won’t hurt the wallet, this OBDII scan tool is worth a try.